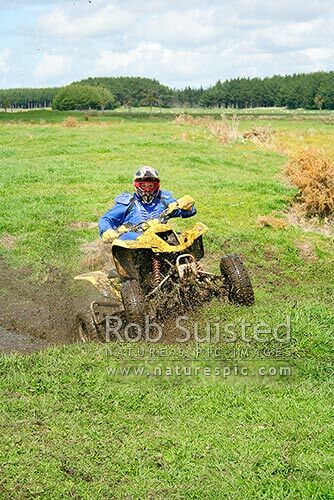 Quad bike racer in muddy bog. Quad bike riding. Motorcycle racing, Foxton, New Zealand (NZ), stock photo.